Hello Seattle Friends, the Chris Fagan/Dave Peterson Quartet will be appearing tomorrow (Friday, February 3rd) at Hiroshi’s from 7:30 to 10:00 pm. As always, the cover charge is zero, the food is excellent, and the company superb. We will be playing some exciting modern jazz including original tunes by the talented Dave Peterson. Did I mention that there is no cover? Apply this generous savings to some of the amazing food items on the menu. 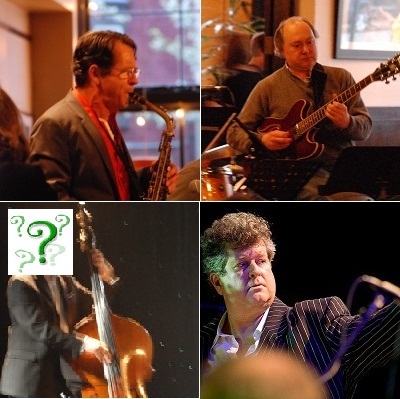 Rounding out the quartet will be our swinging favorite, Greg Williamson on drums and a special mystery guest on bass. Hope to see you there! Tags: chris fagan, Dave Peterson, Greg Williamson, jazz, sax, Seattle, Sushi. Bookmark the permalink. Previous post ← Why is Kenny G More Well-known than Steve Marcus?